Does your music venue / promoter have an engaged following? 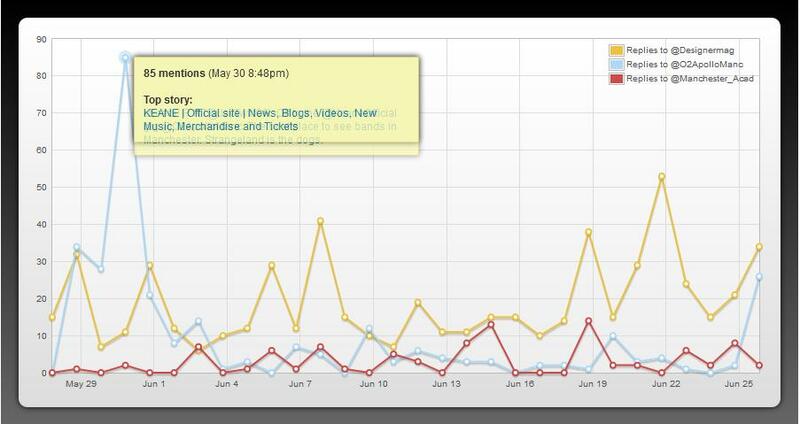 Well have a look at this picture for @ replies on twitter - we're the yellow line smashing both the Apollo and Academy gigs in terms of music fans caring about and engaging with what we post!!! So next time you see a band posting "Biggest Gig to date" about Academy gigs - point them the way of this post, it means less engaged gig to date! !